With all the scooters on the road, you want one that really delivers. The PCX does—and more. 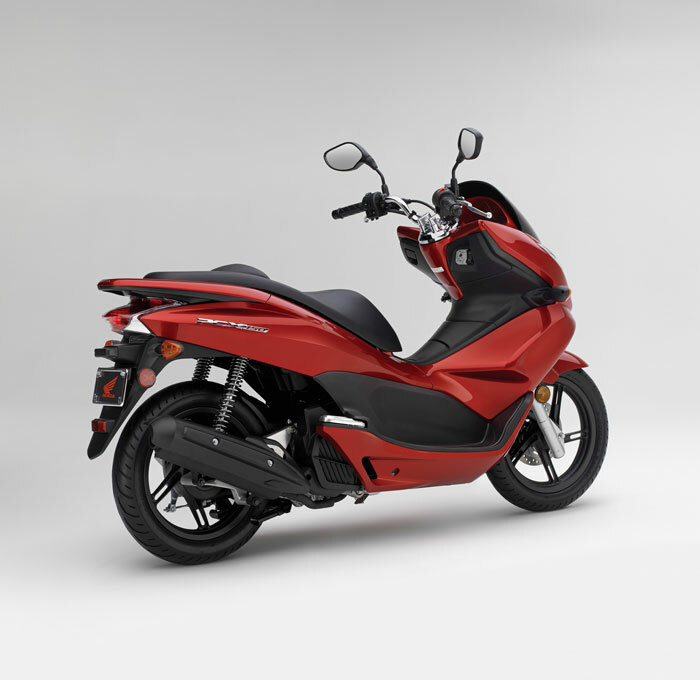 From its innovative styling, motorcycle-inspired seating, reliable Honda engine and transmission, the PCX is one of the most exciting ways to get around in years. 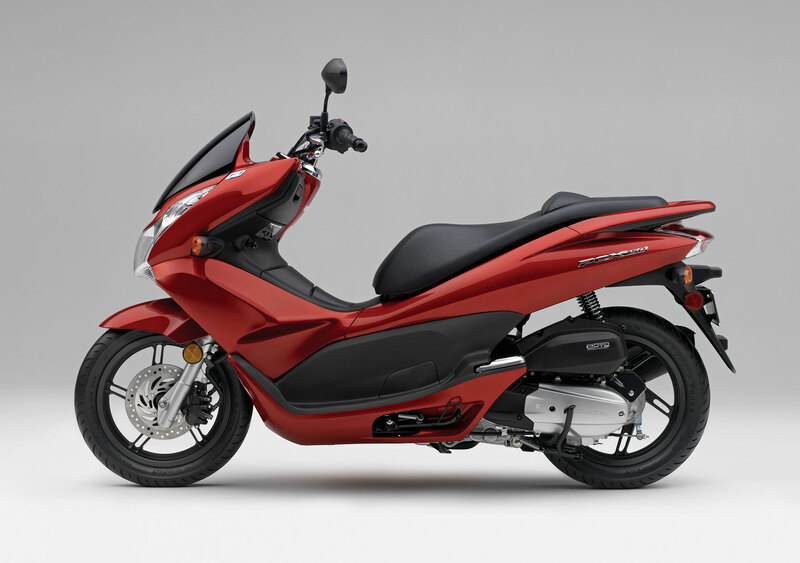 The new PCX150 features a 150cc liquid-cooled single-cylinder four-stroke engine that makes it freeway capable. This stylish and sporty scooter also serves as an enjoyable ride for errands, commuting or weekend fun, thanks to its nimble and friendly handling characteristics. 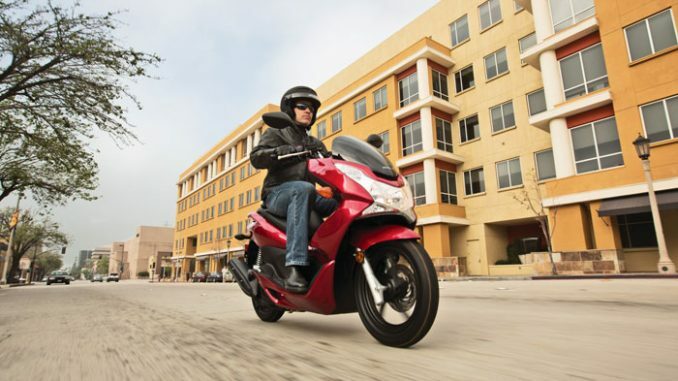 With comfortable seating to accommodate the rider plus a passenger, and a handy 25 liter under-seat storage compartment that can fit a full-face helmet and more, the new 2013 PCX150 offers expanded capabilities while remaining remarkably economical. 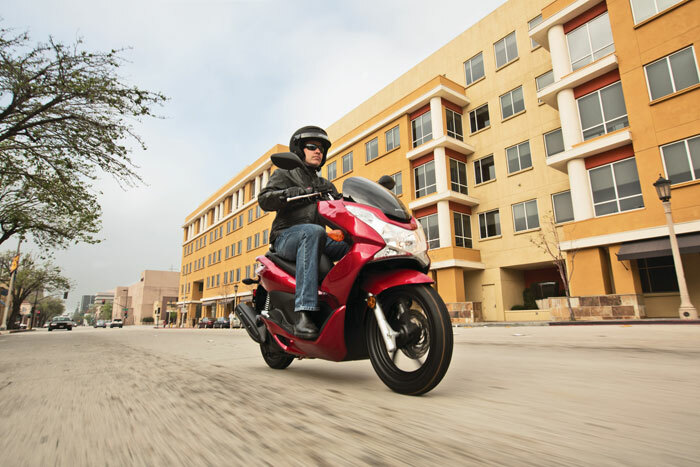 With its new, bigger 153cc liquid-cooled four-stroke engine, the PCX150 is powerful enough to ride on the highway and carry you and a passenger, all while getting up to 102 MPG. The PCX is all about taking care of its rider. Exhibit A: the large seat and floorboards. You get room to move around and your passenger gets plenty of room too. The full-length floorboards and step-through design also makes getting on and off a whole lot easier. A full 25 liters of underseat storage is safe, secure, and convenient. Use it wisely—to store a helmet, your groceries, office materials and more. – New, larger-displacement 150cc liquid-cooled single-cylinder four-stroke engine adds freeway credentials to this modern scooter that captures a distinctive, motorcycle-like style. – New seat padding material adds to the PCX150’s comfort factor. – Excellent fuel mileage makes for remarkably economical transportation. – Modern motorcycle-inspired styling in a full-sized scooter. – The 150cc PCX150 is freeway legal. – Available in Metallic Black and Candy Red colors. † WARRANTY: Because we’re so confident in the quality of each of our Honda Genuine accessories, we’re pleased to offer one of the best warranties in the industry. One-year warranty begins on the day accessories are purchased by the customer. PGM Fuel-Injected Engine – With plenty of power to carry you and a passenger too, the PCX150 features liquid cooling and Programmed Fuel Injection (MPG-FI) for great performance in all traffic conditions. 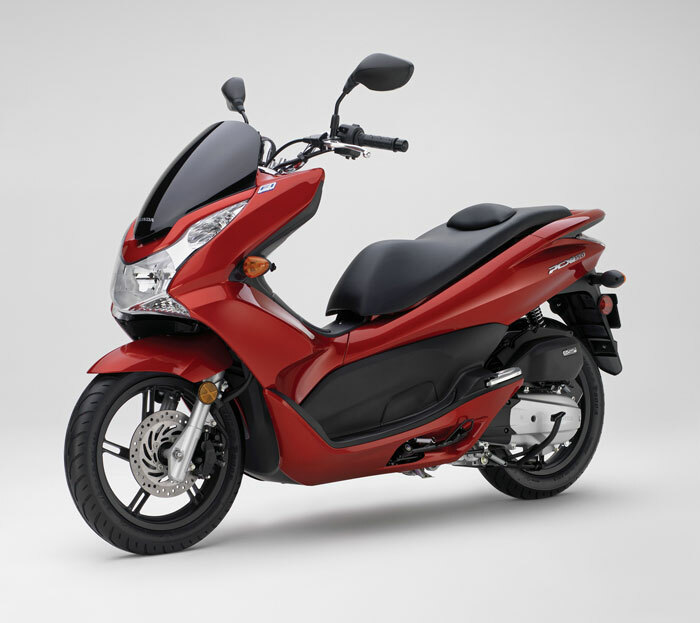 Plus the PCX150 offers some impressive fuel economy too—up to 102 miles per gallon! 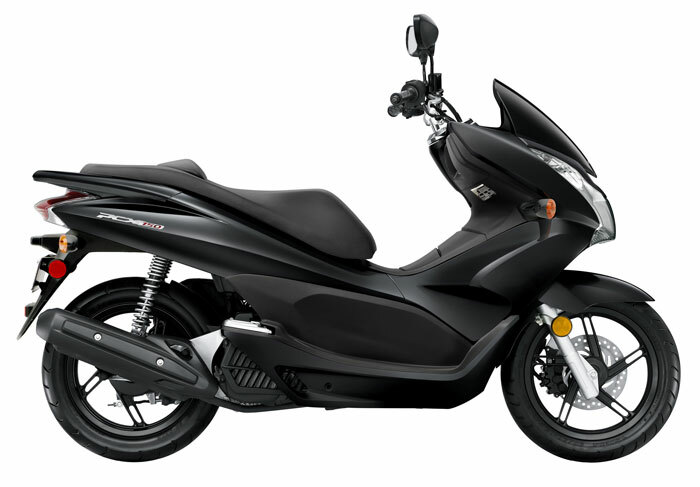 PCX 150 (for the US market) is not equipped with an Idle Stop feature. Easy To Park – The PCX150 gives you the choice of both a sidestand and a centerstand. That makes it easy to park for a fast dash into a store (the sidestand) or when you need to park it upright in a tight space (the centerstand). With a lot of other scooters, you only get one or the other. V-Matic Transmission – With the Honda V-Matic automatic transmission, riding couldn’t be easier. Just start the engine, twist the gas, and go. The V-Matic means no shifting, ever – so you concentrate on the road ahead and simply enjoy the ride! he V-matic is a continuously variable design, so you’ll never feel it lurch from one gear to another. Smooth. Underseat Storage – Flip that seat open and you have 25 liters of storage, enough for a full-face helmet and groceries for Thanksgiving dinner. The main compartment locks for security, and is weather-resistant too. There’s even a second compartment in the dash for your mobile phone, wallet or MP3 player. Rider Comfort – That long, plush seat does more than just look comfortable, it’s probably nicer than that sofa in your living room. An improved seat cushion this year makes it even better, while the stepped passenger section gives your copilot a better view. Electric Start – There’s nothing wrong with retro, but when you’re riding every day you need a scooter that offers you all the modern conveniences and features that the PCX150 does. Its advanced technology and design not only make the PCX150 practical, they make it more fun to ride. 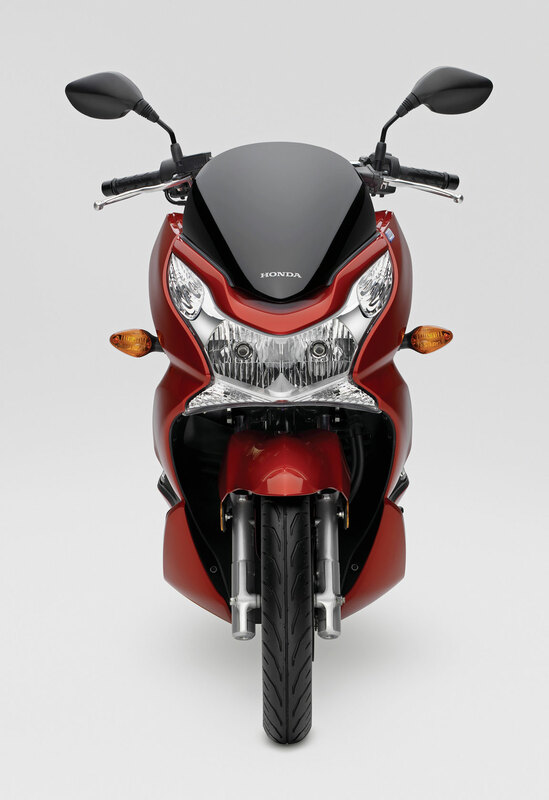 Honda Genuine Accessories – Looking for a way to make your new PCX150 even better? Then check out all the great Honda Genuine Accessories we have to offer. You can get a versatile Rear Trunk, a Windscreen, and more. And best of all, they’re all designed to look great, fit right, and function as flawlessly as your new Honda. Just see your dealer for details. Note *Honda’s fuel economy estimates are based on EPA exhaust emission measurement test procedures and are intended for comparison purposes only. Your actual mileage will vary depending on how you ride, how you maintain your vehicle, weather, road conditions, tire pressure, installation of accessories, cargo, rider and passenger weight, and other factors.